‘What are we to drink?’ asked a British doctor in Shanghai in 1867, reflecting on the precautions needed to maintain health in the sweltering city. His answer, as Shanghai water was too filthy a solution, was simple: beer. For ‘7 or 8 months of the year’ he wrote, bitter was ‘as wholesome a drink as we could have’. Its medicinal properties were, I rather suspect, far from the minds of the inhabitants of the new military garrisons established in north China after the late 1890s ‘scramble for concessions’, and the Boxer rising and war. They wanted the relief only a cool pilsener could bring them. 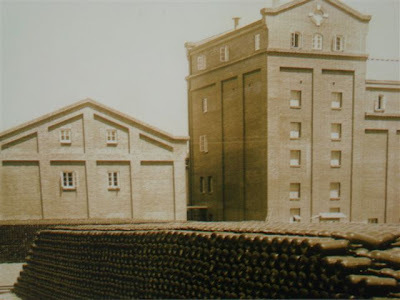 To slate that thirst, a new brewery was established in the German naval colony at Qingdao, and therein lie the roots of China’s favourite tipple, and its most visible global brand: Tsingtao Beer. Therein too, lie the roots of current anxieties in China about the sale of a 19 per cent stake in the Tsingtao Brewery Co. by Anheuser-Busch InBev to Japanese brewers Asahi, giving them an almost 27% stake in the firm (and a relatively easy springboard from which to take full control). Sketches of the firm nearly always note that its origins were as a German company, and it’s a badge of pride in the company’s own publicity materials, not least those around its centenary celebrations in 2003. But it’s actually more interesting than that, and more revealing of the earlier world of transnational business activity in pre-communist China. For Tsingtao Beer was never formally German (in fact, until 1915 it was not even Tsingtao Beer). The Anglo-German Brewery Co. Ltd was established in August 1903 as a British company, under Hong Kong ordinances, and was chaired at Shanghai by a Scotsman, with (by 1915) 60 per cent German, 40 per cent British and other share ownership (including 5 per cent owned by the French religious orders). Of course, the Manager and the Brewmaster were German, and the inability to run the brewery without a German brewmaster was why it failed to present it as entire free of German interests in 1915, and so fell into Japanese hands with the blessing of British diplomats. Those diplomats were fed up with dealing with the difficulties of separating out such very often closely (and cosily) intertwined British and German interests in the treaty ports. Although hundreds flocked home to fight, many other Britons and Germans in China mostly found the Great War a Great Inconvenience. Who had hosted the members of the (British) Shanghai Club while it was being rebuilt? The German Club Concordia. Whose nationals formed the second largest cohort of European staff in the Chinese Maritime customs: the Germans. Disentangling these ties – of habit, sentiment, capital -- and encouraging proper wartime hate, proved tricky. So Tsingtao Beer’s early history is a classic case of the transnational nature of the foreign enterprise in treaty-era China, in this case, the match of German expertise, German and British capital, and British law (and thirsty German soldiers and sailors in Qingdao). The old brewery is now a museum, and well worth a visit – and you don’t need to leave thirsty. 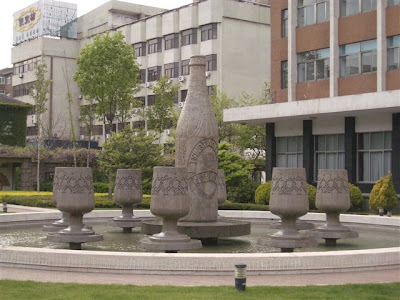 Robert Bickers, a professor of history at the University of Bristol, is currently working on The Scramble for China, a history of the foreign presence in China from the 1830s onwards, which has involved fieldwork at the Qingdao brewery, amongst other places.